Fructose, which is a form sweetener extracted by processing sugar or corn, has been used by the food and beverage industry for the best part of past two decades. The preference of fructose is attributed to its low-calorie contents that in turn cause fewer harmful effects to the body when compared with other external sweeteners. High fructose corn syrup and crystalline are two common forms of fructose. In the near future, the demand in the global fructose market is expected to escalate at a steady growth rate. 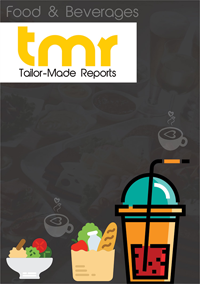 This report on the global fructose market offers in-depth analysis of all the major factors that may influence the demand during the forecast period of 2017 to 2025, positively or negatively. The report also catches some of the latest trends, profiles a number of key players to understand the competitive landscape, and presents quantitative and qualitative estimates of the future of the fructose market. Based on product, the global fructose market can be segmented into high fructose corn syrup, fructose syrups, and fructose solids. Application-wise, the market can be categorized into beverages, processed foods, bakery and cereals, dairy products, confectionary, and others. Geographically, the report takes stock of every important region including Asia Pacific, Europe, North America, Central and South America, and the Middle East and Africa. The awareness pertaining to healthy food has increased considerably in the recent times, while the demand for processed food has also escalated owning to rapid urbanization and changing lifestyle in developed as well as emerging economies. These two factors are the most important factors augmenting the demand in the global fructose market. Industries pertaining to sports and energy, chocolate milk, and carbonated beverages are currently flourishing, which is expected to reflect positive only the fructose market. Nutrition bars, frozen juice concentrates, energy reduced products, and soft cookies are some of the common products made using fructose. On the other hand, ill-effects of overuse of fructose, or any sugar alternative for that matter, and regulations in different countries are expected to challenge the global fructose market from attaining its true potential during the forecast period. Escalating number of diabetic patients across the world is opening new opportunities for the vendors operating in the fructose market. The awareness regarding the products made from fructose has increased rapidly in the recent past, owing to the popularity of social media. According to the estimations provided by the World Health Organization (WHO), the number of people with diabetes has incremented from merely 108 million in 1980 to 422 million in 2014. This has population are expected to keep the global fructose market in good stead in the near future. North America generates the maximum demand in the global fructose market, which is a reflection of growing geriatric population, diabetic patients, growing demand for healthy snack products, presence of several key manufacturers, and high buying power of the residents of the U.S. and Canada. On the other hand, Asia Pacific houses two of the world’s most populated as well as fastest growing economies in India and China, and is expected to turn into a highly lucrative region for fructose market in the near future. Brazil and Cuba are expected to sustain the demand coming from Central and South America region. Tate & Lyle, Archer Daniels Midland, Gadot Biochemical Industries Ltd., DuPont, and Galam are the leading companies in the global fructose market, while some of the other prominent players include Ajinomoto, Atlantic Chemicals Trading GmbH, Bell Chem Corporation, and JK Sucralose.